This is the first photo of the unexpected (gas) generator from a company founded on solar power. Goal Zero will reveal its next generation of portable power this week at the CES trade show, including one big surprise. The Goal Zero Yeti Fuel runs on gasoline. 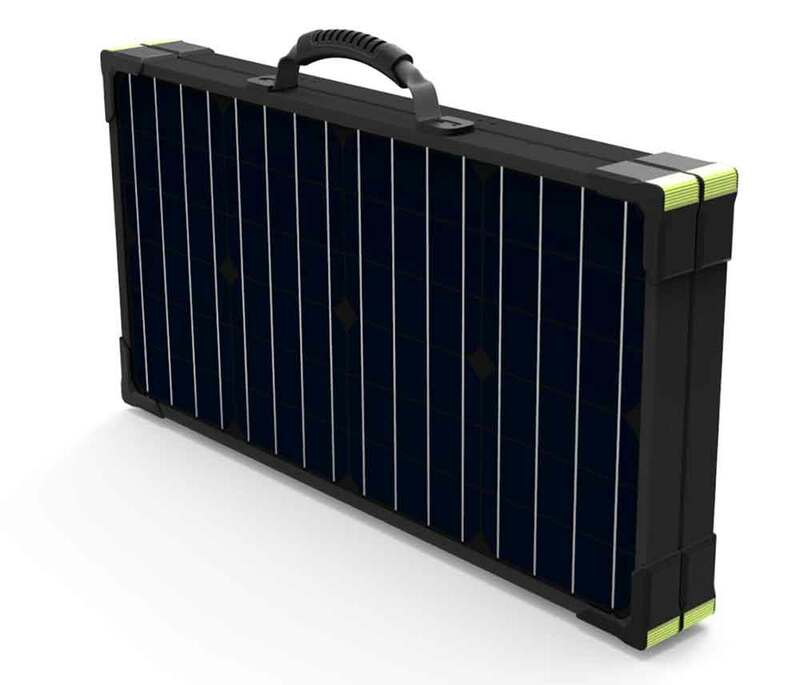 This is a first for the company, a leader in portable solar and renewable energy. But this isn’t your daddy’s gas-guzzler. We met at Goal Zero corporate headquarters last month before the Yeti Fuel was public to learn more. There, a representative showed it to us the Yeti Fuel and explained that a gallon of gas in the new generator can be “about as efficient as 20 gallons” in a traditional generator. That’s because it is designed to charge large Goal Zero Yeti portable power stations, allowing the system to operate more efficiently. The Yeti Fuel only runs when a Yeti battery is depleted, and turns itself off after the battery fills. So it doesn’t waste power by running when not needed. 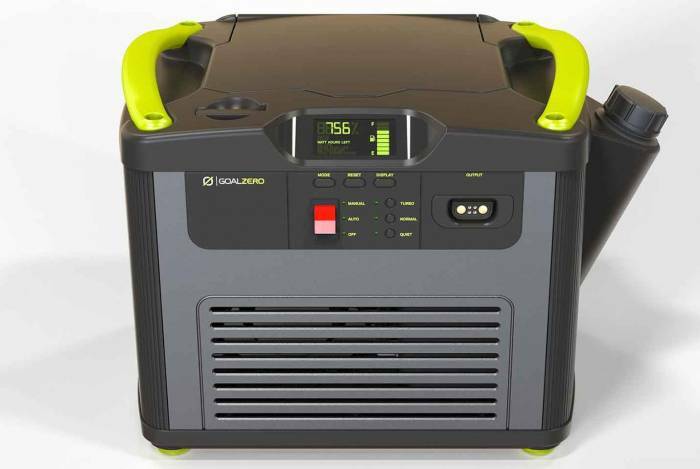 Goal Zero calls it an “intelligent” gasoline-powered generator. It certainly looked high tech, including a digital gauge and numeral readout. Of course it also has the green handles that are a signature Goal Zero look. It hits the market in late 2017. Goal Zero has not yet released the price. 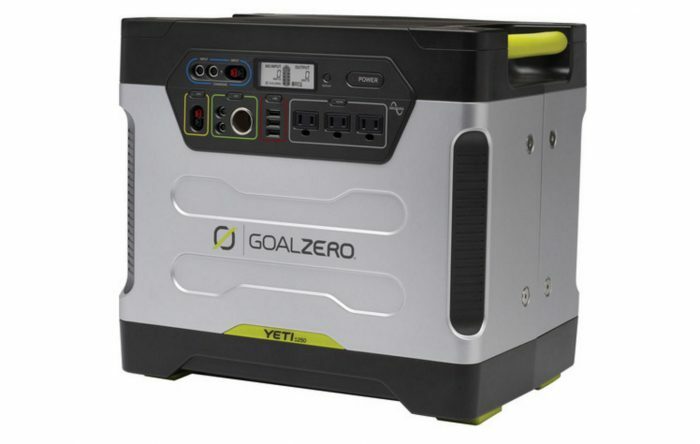 In tandem with the Yeti Fuel announcement, the company debuted an “expansion of its Yeti Power Station ecosystem.” This includes the launch the new Yeti Lithium 3000 portable power station and new Boulder Solar Panels. The Lithium 3000 has some cool upgrades compared with previous Yeti models. It’s built-in surge allowances and “multistage protection” allows compatibility with devices ranging “from lights to refrigerators to saws.” Previously, the Yeti system had a tough time with big power surges from devices like power tools, and the surge allowances should help fix this. It also has an internal battery that can be swapped at the end of its lifespan, likely years of use. As with the gas generator, the Yeti Lithium 3000 will be available in late 2017, price TBA. For sun power, the company updates its Boulder Solar Panels with lower prices and new sizes. 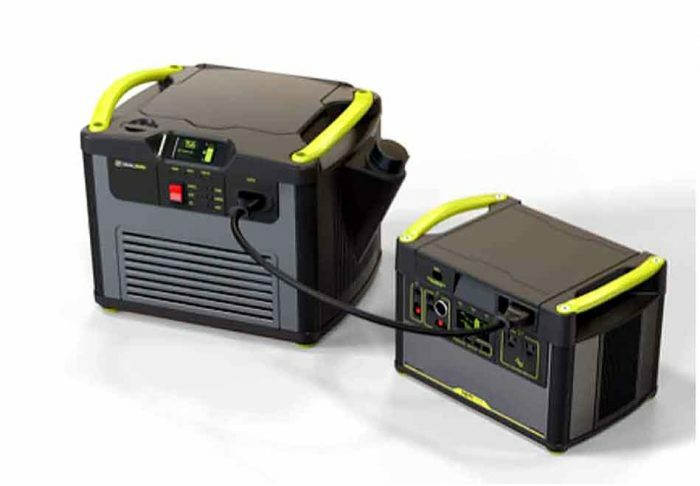 They now come in 50-watt, 100-watt, and a foldable 100-watt briefcase. The monocrystalline panels are made of tempered glass and have an aluminum frame. Integrated kickstands give convenience to angle at the sun. Boulder Solar Panels come to market in March for $149.99 to $374.95.